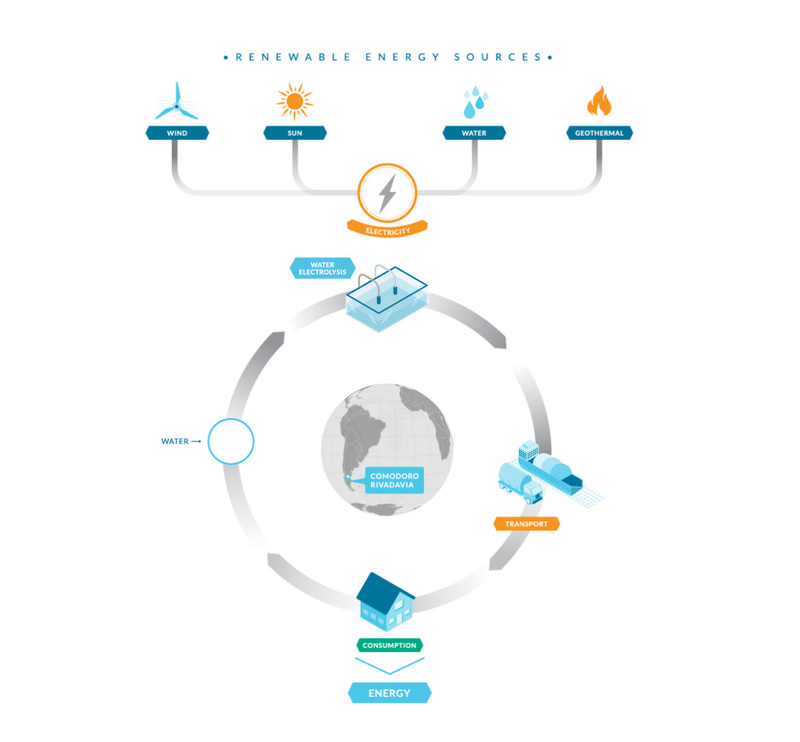 Any renewable energy source like wind, sun, water, or geothermal energy may be used to generate electricity and, with it, produce hydrogen via water electrolysis. This electrochemical reaction results in the splitting of water molecules into hydrogen and oxygen. The resulting hydrogen may be stored, transported, and re-used to produce energy by means of fuel cells, internal combustion engines, turbines, etc. Thus, hydrogen acts as an "energy vector" and allows carrying energy and making it available in areas located at a distance from where it is produced. Additionally, reliance upon the intrinsic fluctuations of renewable energy sources, like wind and sun, is eliminated. It is worth noting that both hydrogen combustion and its use in fuel cells only produce water vapor as "exhaust gas". Therefore, the hydrogen cycle is completely clean and greenhouse gas-free.